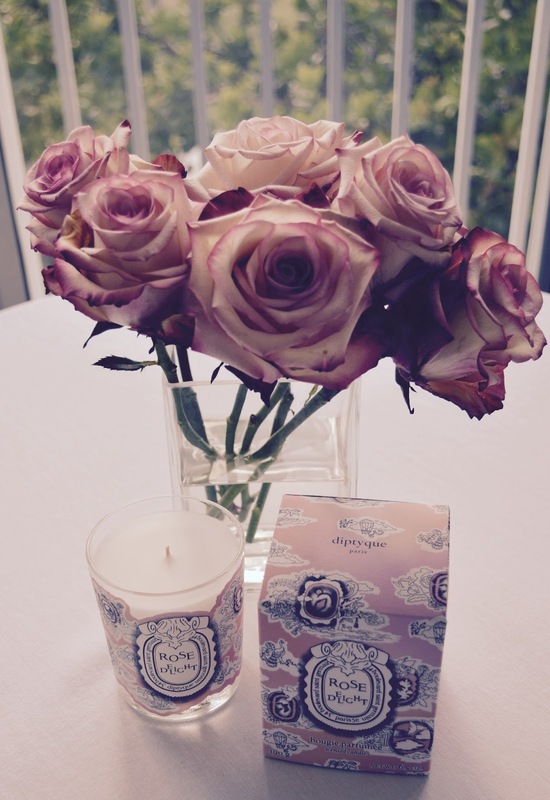 This years Diptyque special edition rose candle is Rose Delight. It’s described as a mix of rose petals, honey and lemon zest, and was inspired by the dessert Turkish delight. The lemon note is the most prominent to me. The throw on this is strong without being cloying. There’s also a powder like quality to the scent that makes it very soothing. It’s a great bedtime candle. I think a Rose Delight bath oil with the same notes would be amazing. And that’s coming from a girl that prefers showers to baths. The packaging for these special edition candles is usually lovely and this year was no exception. 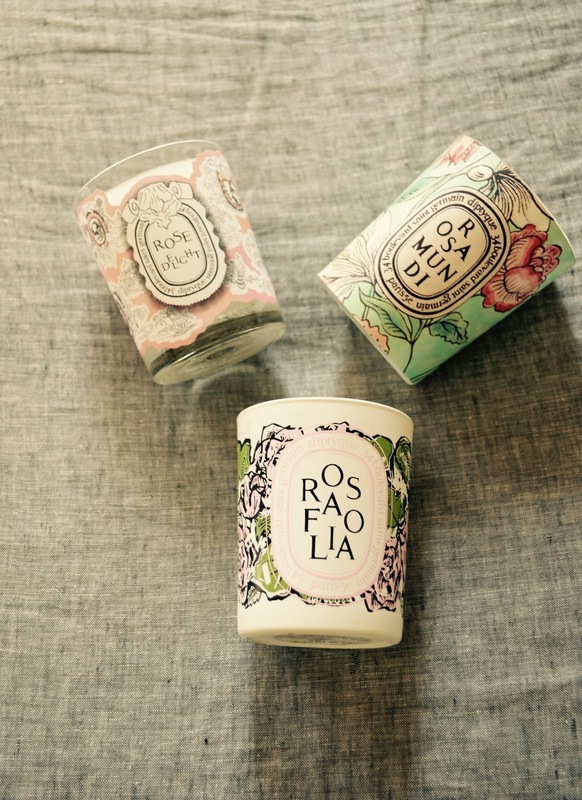 Although like most Diptyque fans I’d love for them to offer another hand painted candle like they did with Rosa Folia pictured above. I think Rose Delight would be a good option for any one looking for a unique take on a classic rose scent. The standard 6.5 oz I have pictured is still available at Nordstrom (here) and online at (here). You're right. 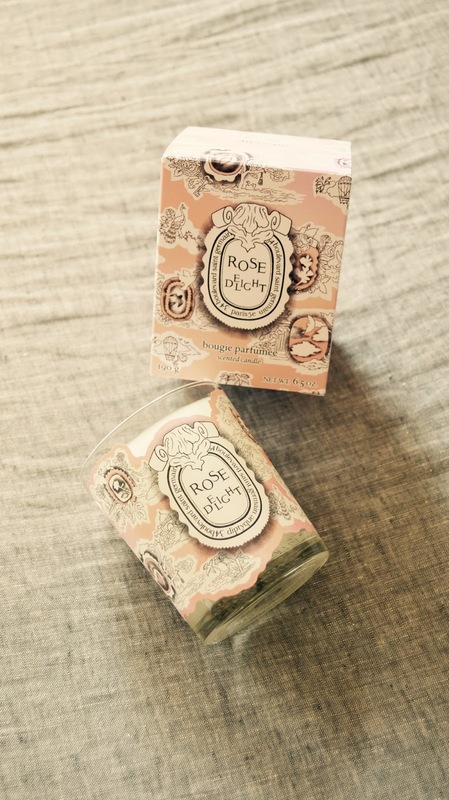 The regular Rose candle from Diptyque is not one of my favorites. But this one and I'm thinking it's because of the honey and the lemon I like. I started collecting their Rose candles about four years ago. That hand painted one is my fave. I would love for them to come out with a rose candle that was black with a hand painted design. I think that would be great. The name sounds romantic. A bubble bath with the same scent would definitely put me to sleep. They always make the best candles. I'd go for a shower gel but a bubble bath would definitely be a top seller. 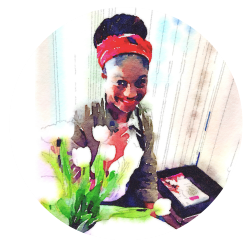 Have a great week ! I am not a fan on flowery scents, but the packaging is so enticing. It's lovely isn't it. I'm not usually a fan of those kind of scents either but this one had honey and lemon notes which kept it from being too flowery.